Children’s Lives explores the lived experiences of children from the 18th century to the present day. 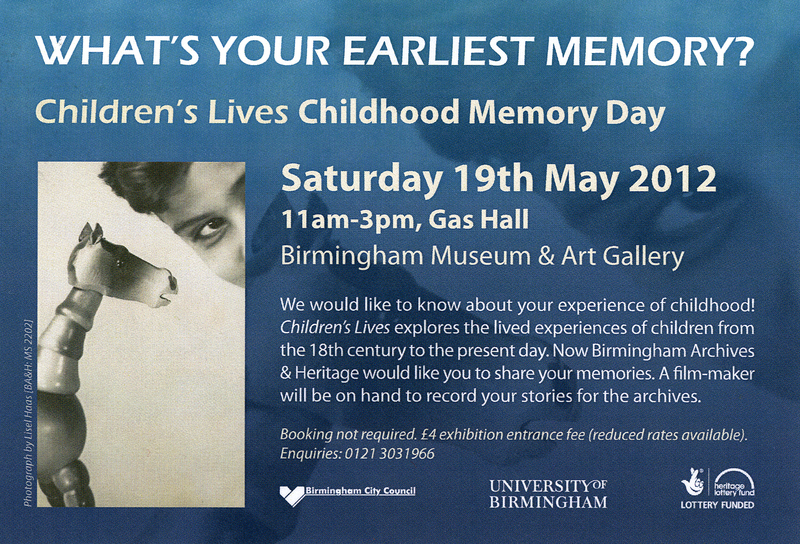 Now Birmingham Archives & Heritage would like you to share your memories! On Saturday May 19th we will have a film-maker available to record your story for the archive so please come along and tell us about your childhood.